Ford’s 2016 F-650 is being built in the U.S. at the company’s Avon Lake, Ohio, assembly plant. There are many applications for medium-duty trucks, which is why they must be as versatile as the fleets they support. From city pick-up and delivery vans to on/off-road service units, this wide range of vehicles is seeing some of the same trends as its bigger brothers, and has a few of its own. 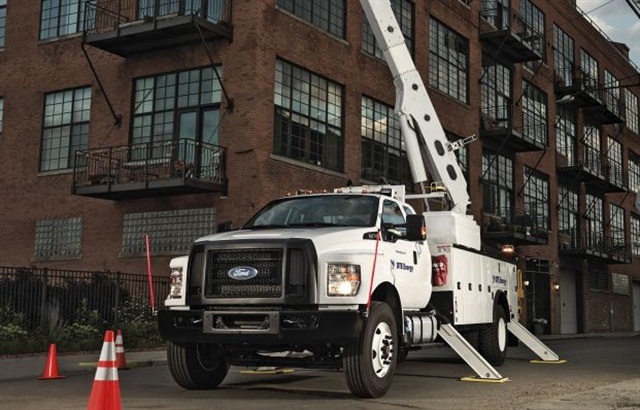 With the upcoming release of the 2016 F-650 and 2017 F-750, Ford is positioning itself to make its stand in the heavier end of the medium-duty truck market. With that comes an understanding of what customers want and need. No matter the task at hand, whether that’s digging a hole, pulling a load or supplying an in-cab office for a driver, fleets want options, according to Levine. One option that Ford is seeing in shifting fuel choices: a move toward gasoline engines. 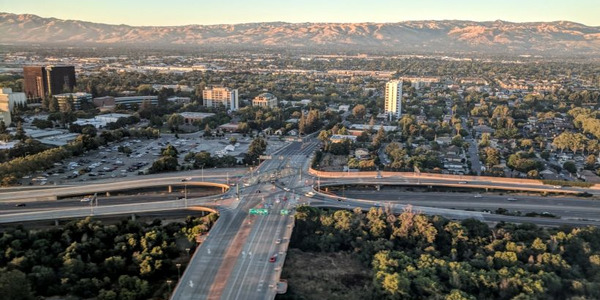 With fuel prices dropping, gasoline itself makes sense, and fleets are looking at how those engines can be converted to gaseous fuel with less financial impact than a diesel – even if they don’t plan to use natural gas or propane themselves. “People are showing interest in gaseous-fuel prepped engines not just for the ability to convert,” Levine explains. “They are looking at hardened valves and seats as added durability and increased residual value at the end of their usage cycle.” Traditionally, fleets that put a lot of miles on their trucks would spec diesel engines, viewed as more durable than gasoline. 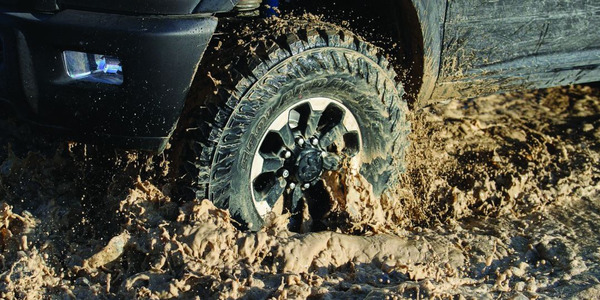 The importance of durability and business considerations prompted Ford to replace the previous diesel, the Navistar-made V-8 which it used in various forms since the mid-1980s, with its own 6.7-liter Power Stroke V-8 turbodiesel and TorqShift HD transmission combination. 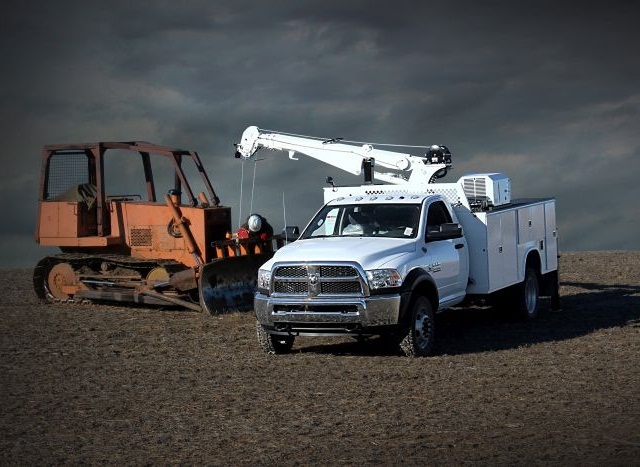 The new 2016/2017 diesels are rugged and economical, and are up to 45% quieter in the cab than their predecessors. Customization also plays into the mix, with Ford ensuring that aftermarket upfitters have a clean cab-to-axle area to add vocational bodies. The new trucks have a system to custom-punch holes in the frame as it’s being manufactured. This not only saves time for the upfitter but also offers the opportunity for the majority of those frame holes to get the same corrosion protection as those punched to hang the rear chassis components. With the new models comes another change. 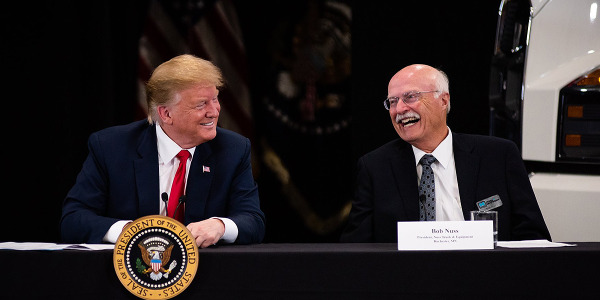 Working with its UAW partners, Ford moved production of the F-650 and F-750 trucks from Mexico to the United States, specifically to the sprawling factory at Avon Lake, Ohio, accompanied by a $168 million plant investment that secured more than 1,000 hourly UAW jobs. When designing models like the M2, Freightliner keeps industry trends in mind, such as driver recruitment. There are many things to consider when making a truck purchase, and according to Freightliner Trucks, it’s less about the initial purchase price and more about what will help fleets run a smarter business throughout the life of the truck. “They’re taking a more holistic view of the truck purchase, and spending more time considering how to reduce their real cost of ownership,” says Mary Aufdemberg, director of product marketing, adding that this outlook has led to constant and continuing development of the company’s M2 models. There are a number of trends that the Freightliner team keeps in mind during this development process, including the industry’s need for driver recruitment, an increased interest in automatic or automated manual transmissions, a focus on safety, ease of truck equipment upfit and operation, as well as customization options. 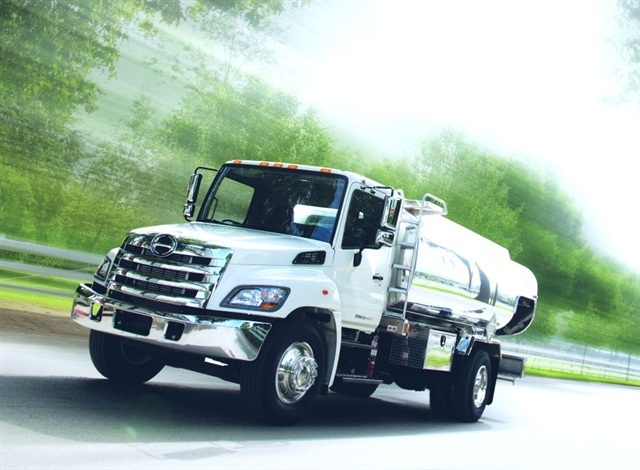 Freightliner’s dealer network and corporate sales teams work with customers, using information such as truck application and operational requirements to develop a truck specification that will meet the performance goals and ownership expectations for their business. The M2 series provides a number of chassis component configurations to ensure compatibility with almost any type of body install. Mitsubishi Fuso sees the increasing computerization of commercial vehicles as one of the key trends in the medium-duty market. 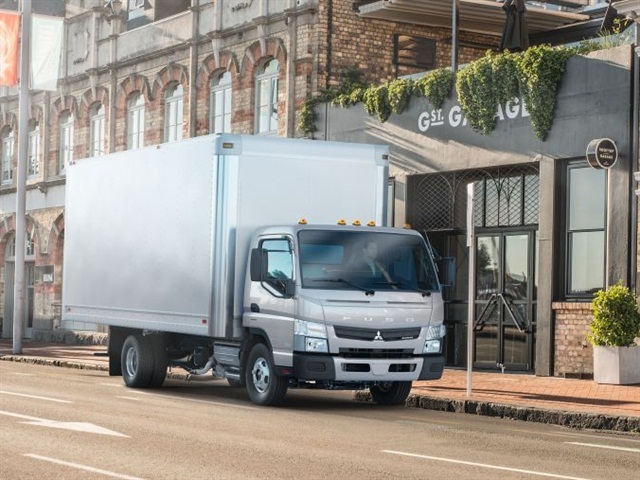 Looking forward to 2016, Mitsubishi Fuso sees the increasing computerization of commercial vehicles as one of the key trends in the medium-duty market. The economy is also affecting the medium-duty market, in Glasman’s opinion, with overall economic indicators still not improving dramatically. With a close eye on total operating costs, businesses remain focused as much on cost control as on organic business growth. Diversity of the medium-duty market also has a noticeable influence on purchases, with each vocation having its own requirements, such as idle-limit systems, cab-mounted air deflectors, or Bluetooth radios that allow hands-free cell phone operation. “With the number of options available and the variation in fleets’ requirements, though, customization is becoming more common,” Glasman says. When it comes to customization, Hino stresses the need for increased communication between the dealer salesperson and customer. The increase in available products and support options have pushed customers to educate themselves more than ever to understand their fleet efficiency, according to Adrian Ratza, marketing manager for Hino Trucks. Hino is seeing an increase in customized paint orders and is anticipating this to continue in 2016. Ratza relates this to the idea that trucks act as a moving billboard, and a customer that takes the opportunity to capitalize on this can positively impact their future growth. But this increasingly customizable environment comes with a price. Finding the the right truck for the right route makes all the difference, according to Isuzu. 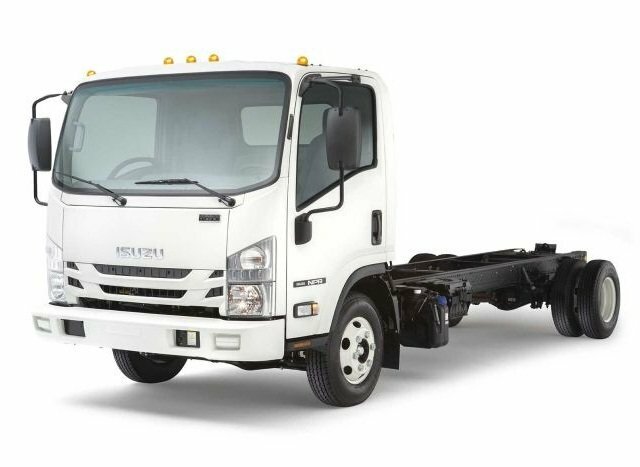 One of the main changes Isuzu is seeing in the medium-duty market is the way customers are right-sizing the vehicles they are driving. This helps customers reduce the cost of ownership by having the right truck for the job, he says. Dealers review the customer’s needs to match the right truck for the right application, allowing them to determine if a customer needs gasoline or diesel, along with the gross vehicle weight and the frame and body length required. “The dealer may also bring in a body company to review the needs of the body so it meets the needs of the customer and the route the vehicle will run,” Tabel adds. There are other tools customers can use to better understand their total cost of ownership. One is the Isuzu Health Report, which shows engine and emissions system conditions, brake usage and fuel economy history, and driver operating habits. Another is telematics. 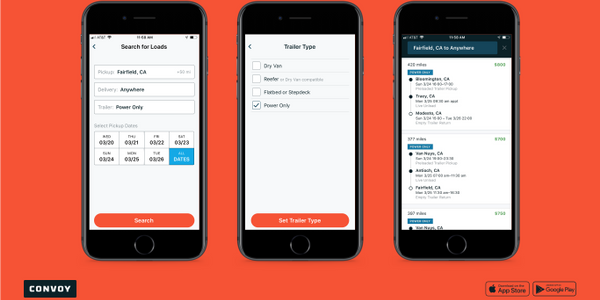 “More and more customers will be selecting their trucks with telematics to help them have a true sense of how their trucks are operating,” Tabel says. 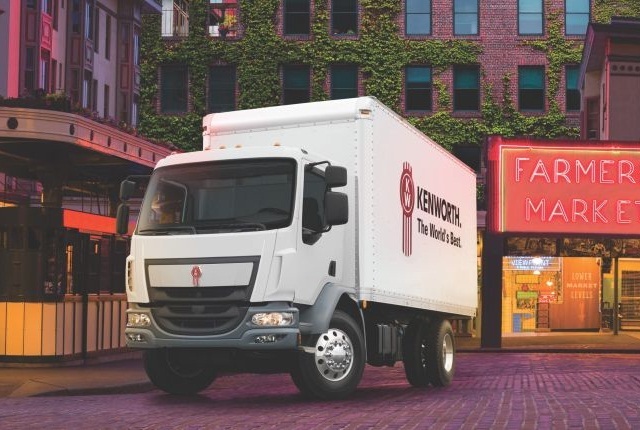 According to Kenworth, fleets are seeking trucks that offer greater value and that can cover a range of applications. 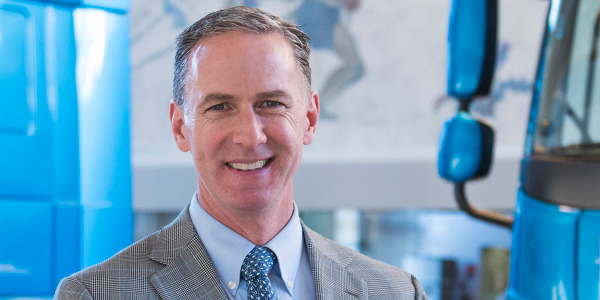 Fleets today are seeking trucks that offer greater value, and the company’s medium-duty line of conventional and cabover trucks provides this in a variety of applications, says Kurt Swihart, Kenworth’s marketing director. 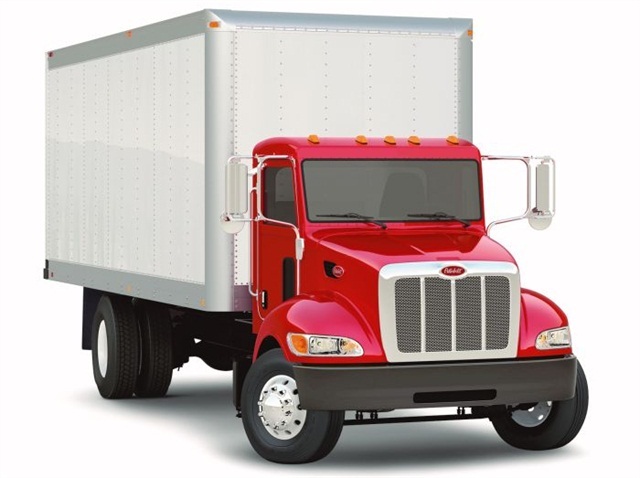 KW serves the midrange market with T270 and T370 conventionals and K270 and K370 cabovers. For 2016, Kenworth has enhanced its axle options for the Kenworth T370 with the addition of higher-capacity 18,000-pound and 20,000-pound Dana front axles, and Meritor steer axles rated from 12,000 to 14,600 pounds. The manufacturer also added the 10-speed Eaton UltraShift Plus VAS transmission, and Allison FuelSense packages for new Kenworth medium-duty trucks specified with Allison Highway Series and Rugged Duty Series automatic transmissions. Like other OEs, Kenworth understands the importance of customization for truck fleets and operators running medium-duty trucks in vocational applications. “This segment covers a range of applications, including utility, dump, roll-off, refuse, and municipal. These vocational-dedicated medium duty trucks require a high degree of customization, including a range of axle specs, all-wheel drive, body builder alignment, and custom frame layouts,” Swihart says. 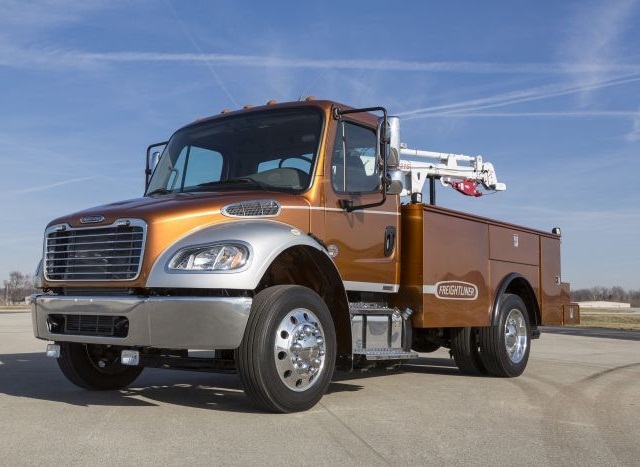 Customization to the electrical system for specific functionality and connections is a trend that Navistar is seeing more often. 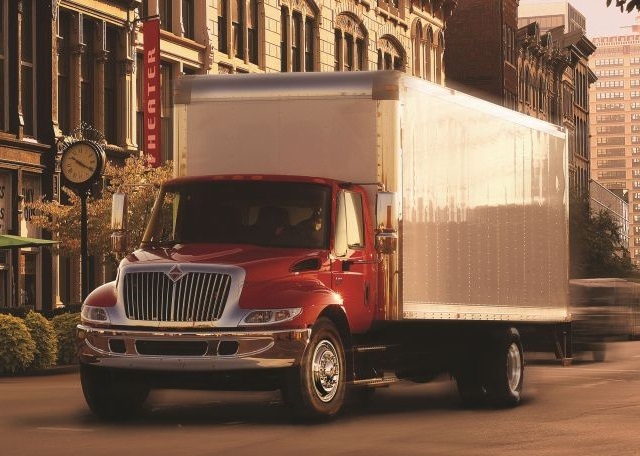 Into 2016 and beyond, Navistar foresees a continued demand from its customers for customization to the medium-duty chassis, as well as to its Diamond Logic electrical system, which could simplify typical add-ons, resulting in cost and labor efficiencies. “A lot of the customization takes place in the chassis and the location of key components such as the exhaust, air tanks and battery boxes,” says Carl Webb, vice president and general manager of the International medium-duty product line. A majority of the trucks Navistar makes results in some level of customization depending on the body design and functionality required of the truck, according to Webb. Other customization takes place in the electrical system when specific functionality and connections are required. Webb sees customers migrating to medium-duty vehicles from commercial pickups, for easier operation, reduced engine noise and spacious design. As far as trends, he cites vehicle automation in the form of automatic transmission and electrical multiplex functions, telematics and tracking systems, and collision mitigation systems. “Fleets are placing more emphasis on safety features and collision protection in commercial vehicles,” Webb says. To meet higher demand for telematics and tracking systems in commercial trucks, Navistar now offers OnCommand Connection standard in all new International trucks, including medium-duty. The company works with a variety of technology providers to better meet varied customer needs. Ease of operability can play an important part, as well as improved maneuverability and visibility, according to Peterbilt. The driver shortage doesn’t just affect over-the-road drivers. Many medium-duty fleets also are finding it a challenge to find and retain qualified drivers. Peterbilt says equipment plays a key role in driver recruitment and retention. Ease of operability can also play an important part, including improved maneuverability and visibility. According to Slavin, this can also include incorporating technologies that can help novice drivers perform like more experienced operators, such as the company’s Driver Performance Assistant, which coaches them in real time to help improve fuel efficiency and reduce wear on components such as brakes. 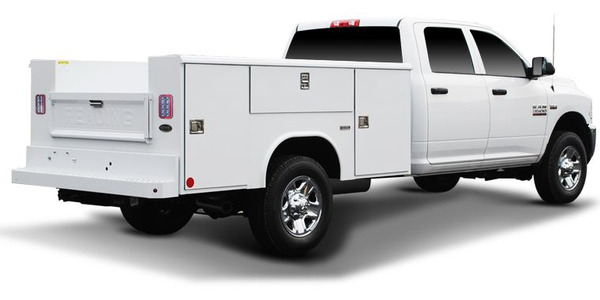 Versatility and easy body installation are also important factors for medium-duty trucks, he adds, because individuals and smaller medium-duty fleets often purchase equipment because they need the vehicle in operation as soon as possible. Applying medium-duty trucks to certain applications can solve some of the regulatory issues faced by fleets, says Ram. While some companies have resized some trucks in their fleets due to cost issues, Ram sees other factors driving customers to go from Class 7 and 8 trucks to medium-duty vehicles. The trucks also face fewer restrictions when it comes to roads, bridges, and weigh stations, as well as upfitting, adds Sowers. Ram’s Vehicle System Integration Module (VSIM) gives upfitters 64 different inputs and outputs from the vehicle system, which could be something as simple as a door-ajar warning or a transmission shift position, or crash notification or engine idle. A few times a year, the Ram team meets with an advisory board to gather input from dealers, customers, body manufacturers, and upfitters. Ram takes the concepts discussed in these meetings and applies them to ongoing vehicle modifications. The VSIM, for example, came out of this process.